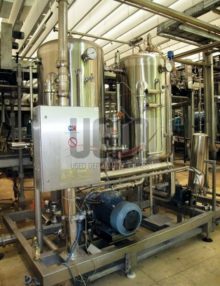 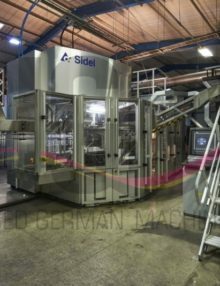 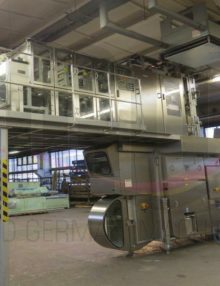 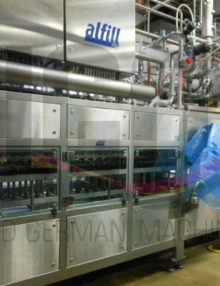 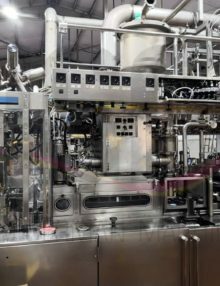 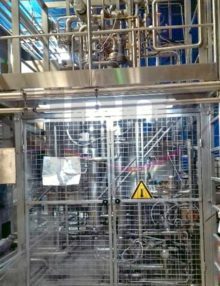 From now on available from us is a complete and in very good condition PET filling line for water, carbonated and non-carbonated drinks. 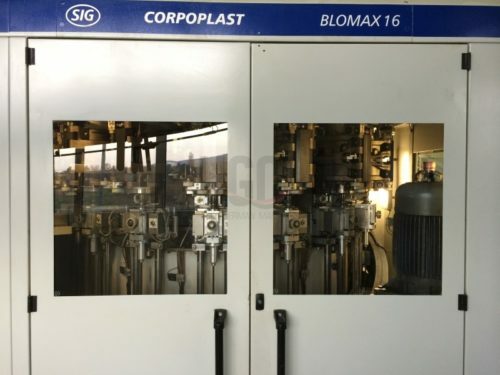 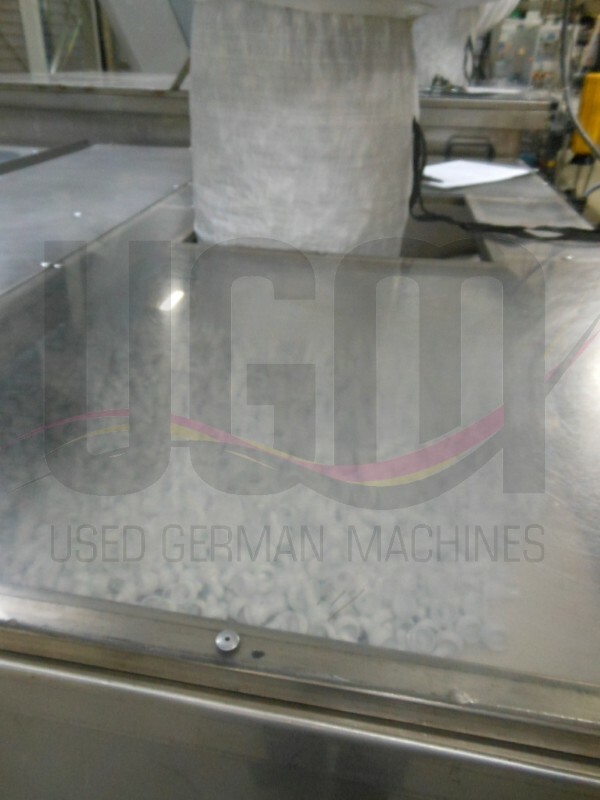 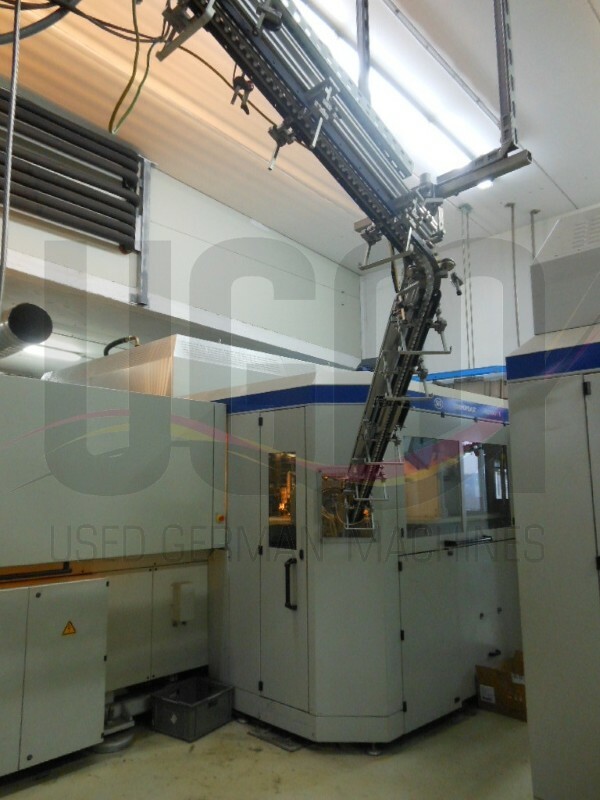 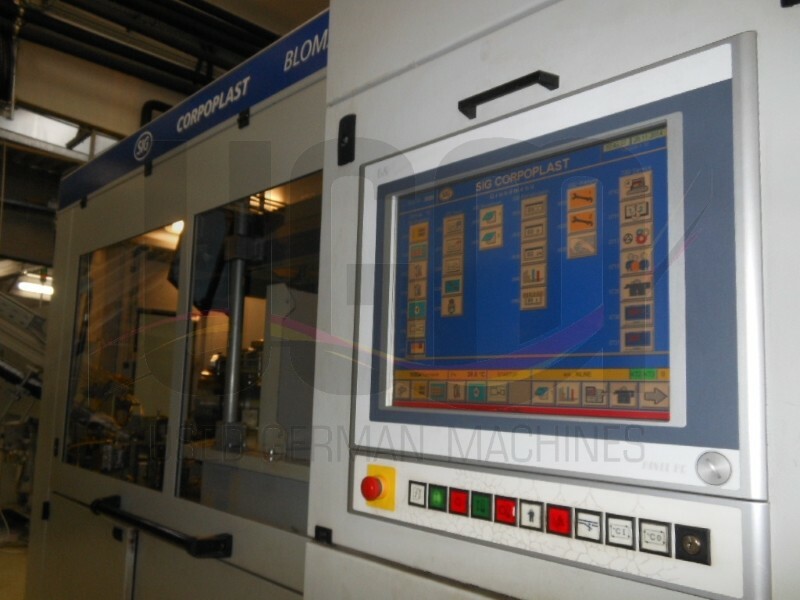 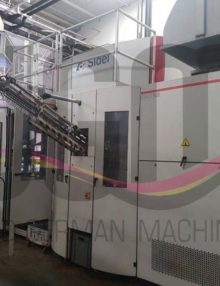 The machines are tested in trial runs and can be inspected at any time. All technical data can be found below under further information. 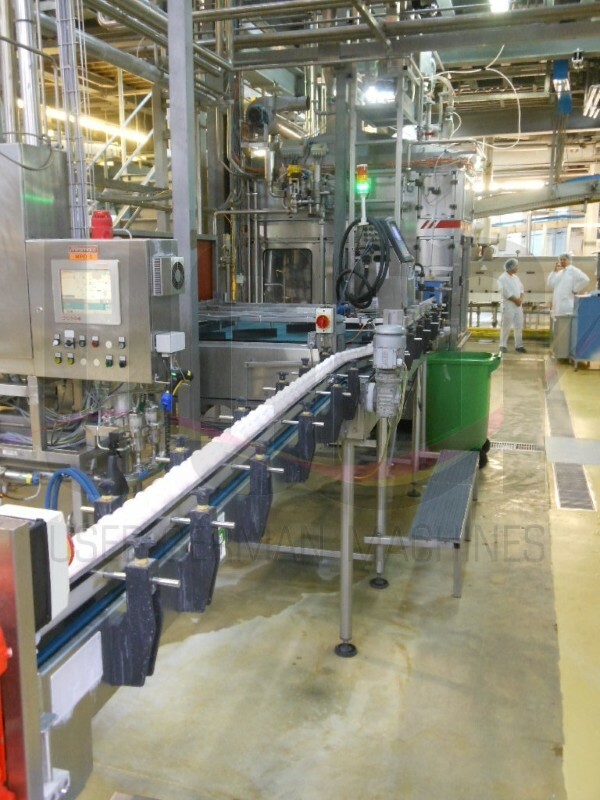 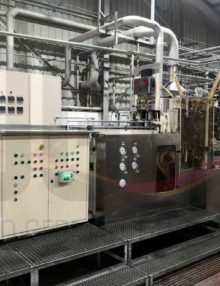 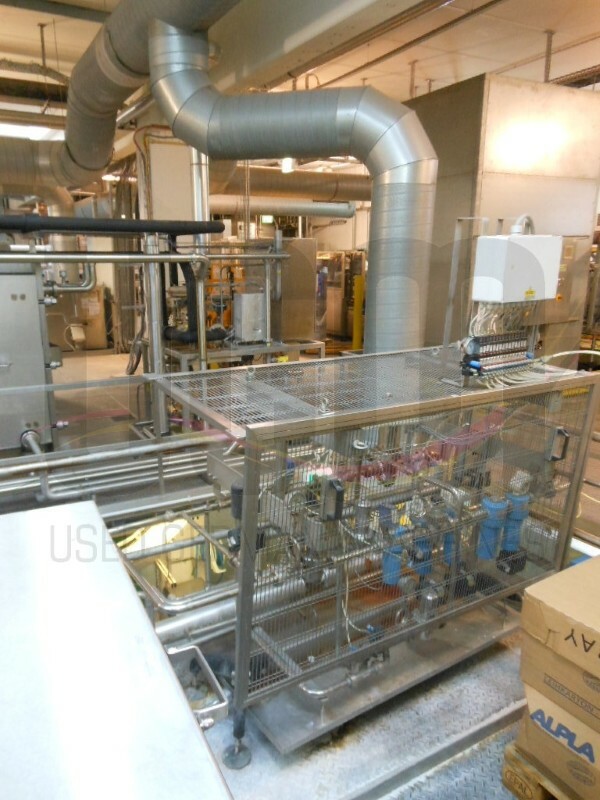 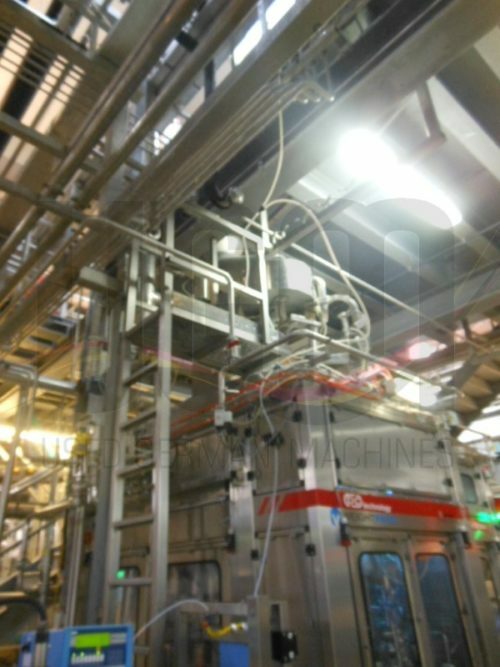 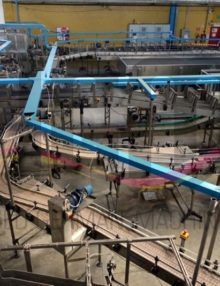 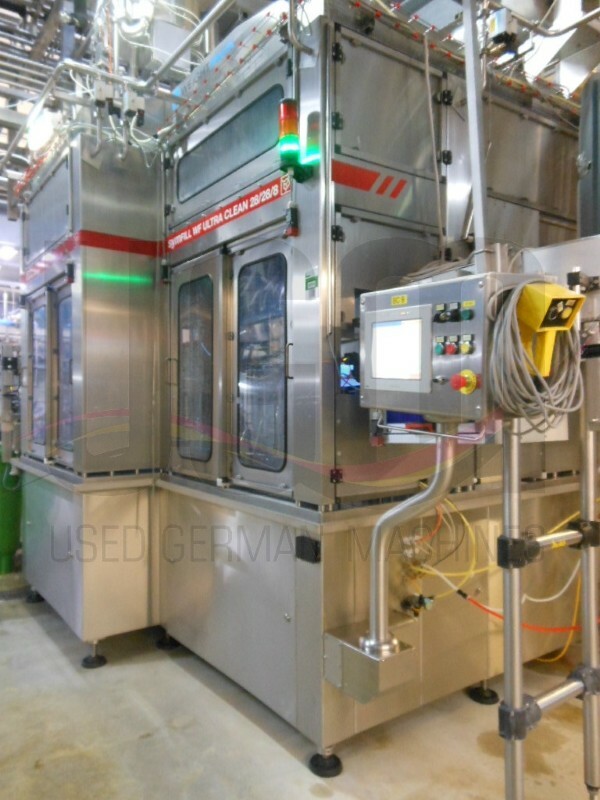 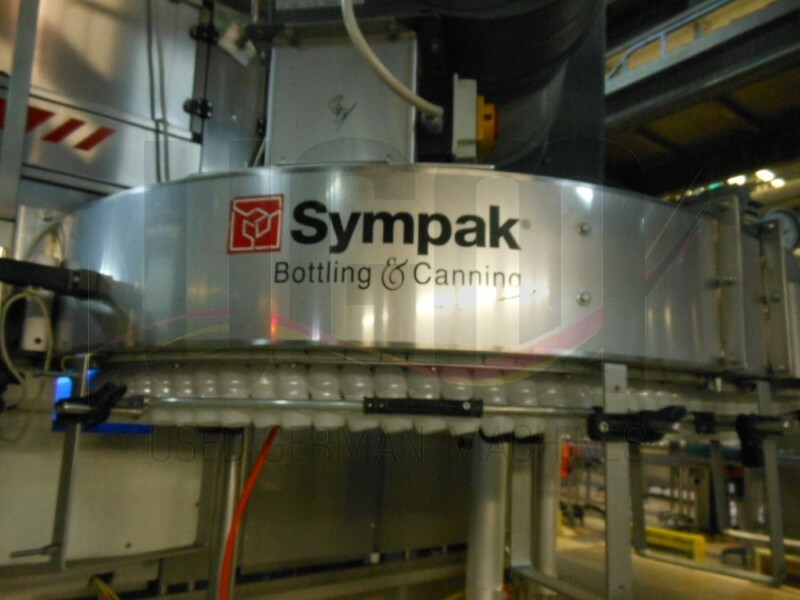 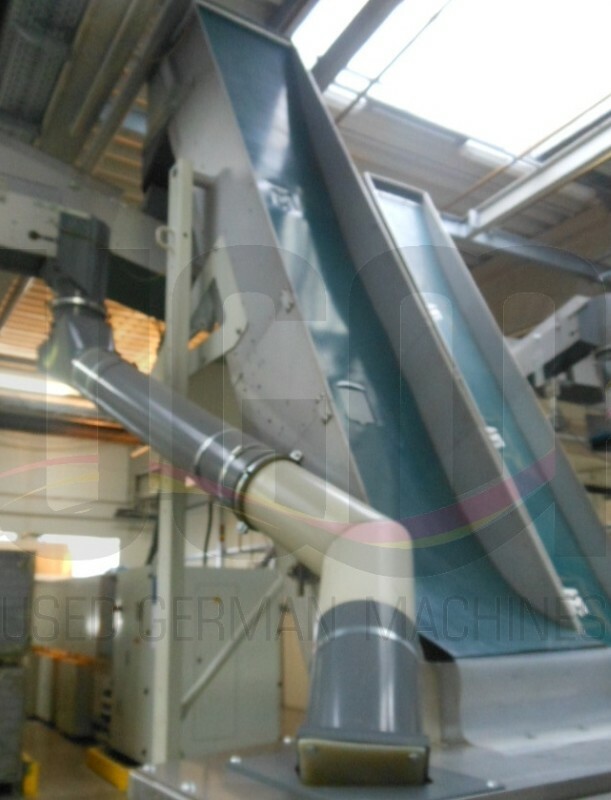 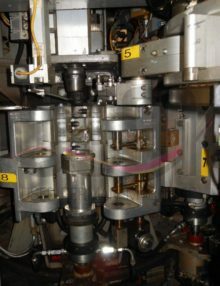 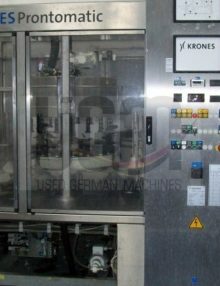 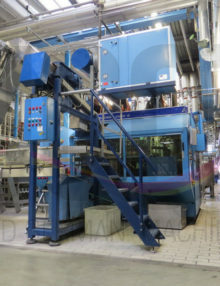 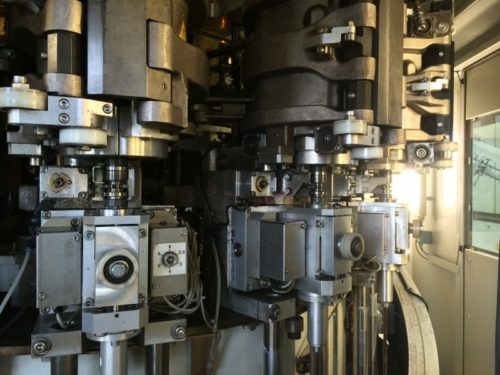 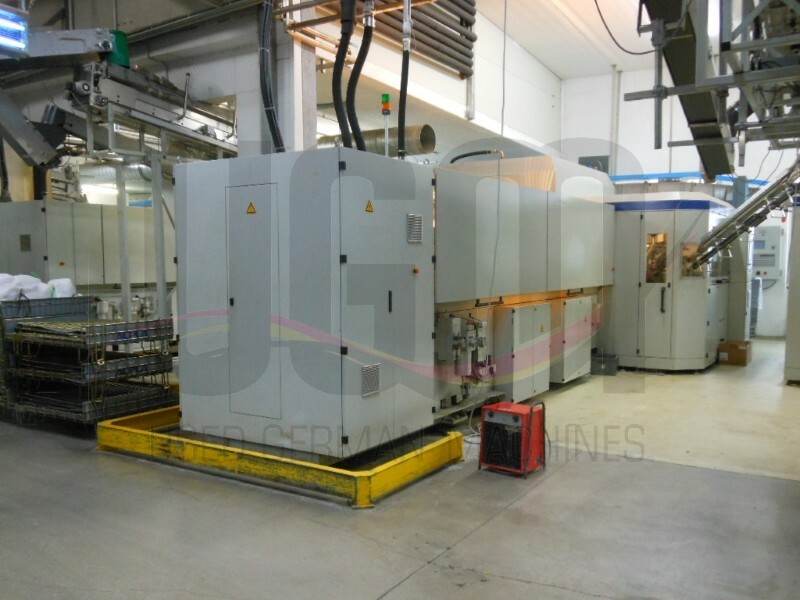 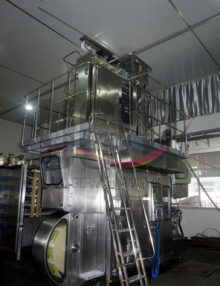 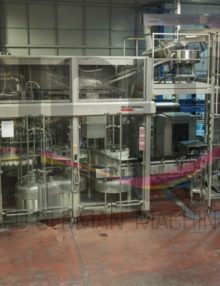 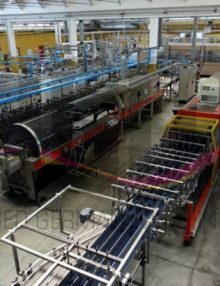 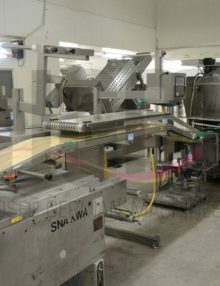 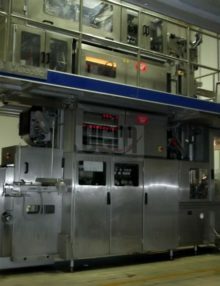 This filling line started operation as a new installation in 2003. 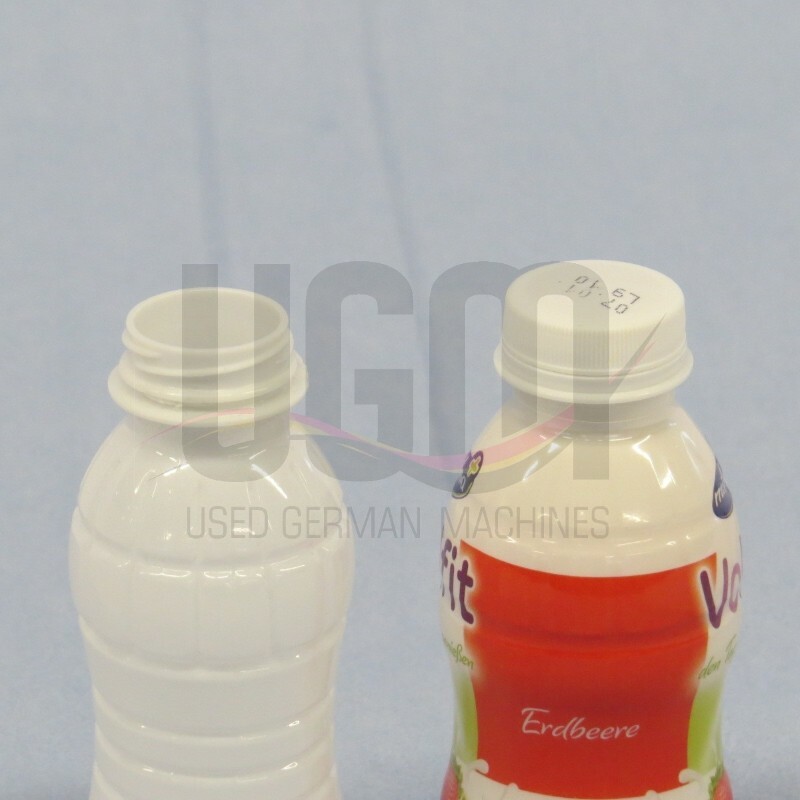 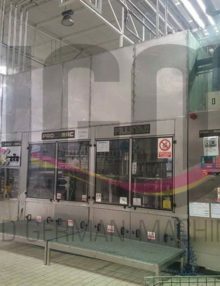 Past owner was a reputable dairy specializing in milk and yoghurt drinks. 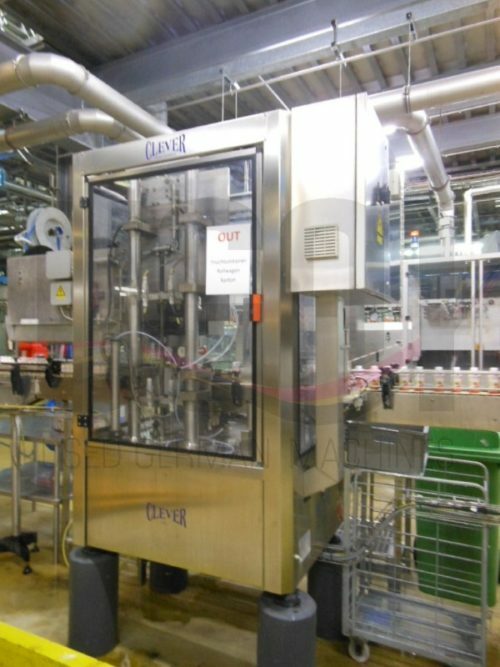 The only reason for the sale was that a new line was purchased with a higher capacity.